Khulna University Admission Application Panel will be open from 20th August, 2015 and the application panel will remain open till 19th September, 2015. There are approximately 1100 vacant seats under several departments this year. Khulna University Admission Application Process requires both SMS and online to complete. Applicants must passed SSC or equivalent in 2012 or 2013 & HSC or equivalent on 2014 or 2015 with Physics, Chemistry & Biology. According to the KU Admission Notice Applicants can apply for KU Admission using any valid Teletalk Phone through SMS. How to apply for Khulna University Admission? To apply first open the message option and follow these instructions below. Example : KU KHU 526421 2015 KHU 112456 2013 A & send to 16222. Note : For Board names type the first 3 letters of your respective board. Such as for Dhaka Board type DHA & for technical type TEC. For Groups type ( A / B / E / F / L / S ) as per your criteria. Quota Candidates type (FFQ / TQ / OTH) beside Unit. In reply you will be given a PIN Number & application fees and will be asked to confirm your payment. Reply SMS : CONGRATS !! Mr. X . Fee Received successfully for KU Admission. Password is XXXXX and User ID is XXXXX. Applicants need to download their admit card from the official website of KU using the User ID and Password within 7 days. KU Admission seat plan will be published before the admission test in University website. For Admission test preparation students should go through previous years Khulna University Admission Question Paper Solution and Answer Sheets. 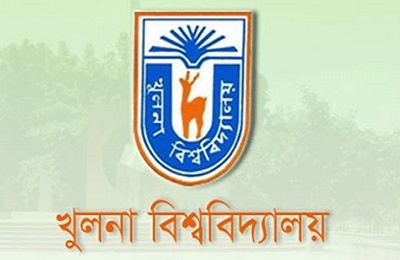 The Name and the Roll no of the qualified students will be declared through the Khulna University Admission Result within a week after the Admission Test.